I was talking to a fellow in my neighborhood who was in a wheelchair. We talked about the activities offered in the fixed equipment outdoor parks in our neighborhood, we agreed they essentially offered none for him as a person who uses a wheelchair, and none for me as a senior citizen. I then pointed to the library that was right across the street from where we were talking. It functions as an "indoor park" with seating and "loose parts" (aka books, DVDs, laptops etc). It was far smaller then any of the outdoor parks in our neighborhood, yet offered us and the rest of the community a choice of thousands of "loose parts" to choose from . I said to him rather then outdoor parks being based solely on installing a small number of fixed equipment features, what if they additionally offered a library style facility stocked with all sorts of "loose parts" so as to offer something for everyone? He agreed with me this would be a good idea. Here are several ways to offer a great deal of Loose Parts in our parks using the public library as a model. When I was a child my neighborhood playground had a staffed play library. Due to budget issues many parks departments often can no longer afford dedicated staff to lend equipment in neighborhood parks. 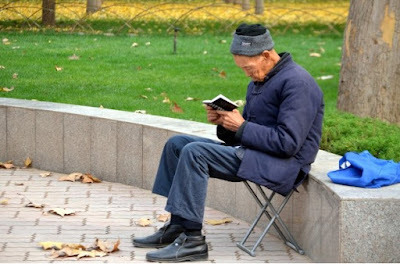 -Libraries are already really, really good distribution channel for lending objects to use in nearby parks- but those objects are currently usually limited to books and other information oriented materials. 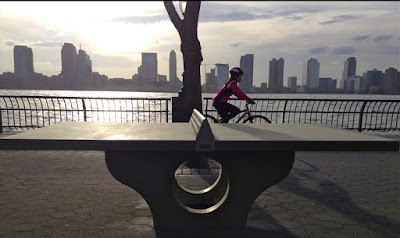 -What if the libraries in your city that was near a park would also lend sports equipment? "We are lucky that we have a park right outside our windows. Staff have been known to tell a bunch of rowdy kids to take a ball, go out to the park and work off their excess energy before they come back inside and sometimes the youth staff will start or join in the game for a little while - its all part of building good relationships". According to Kaboom ,Chicago Public Libraries are working to make the children's section of each library a play area that facilitates learning and engagement Libraries often have indoor children's play areas that offer toys and games. These actually are small indoor loose parks. 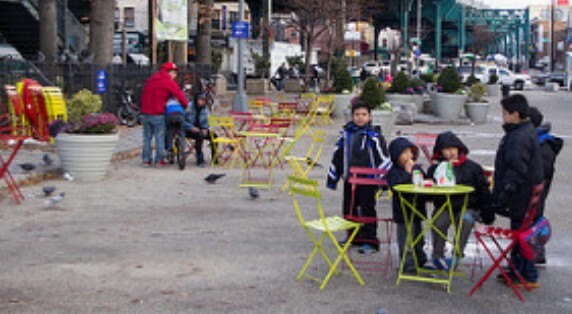 .Why not add outdoor Loose Parks? Here's how. 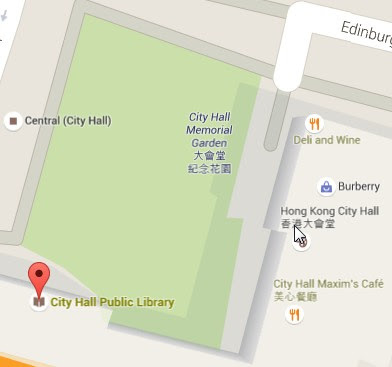 Libraries often have lawns, and these lawns look wonderful, but are otherwise not used . 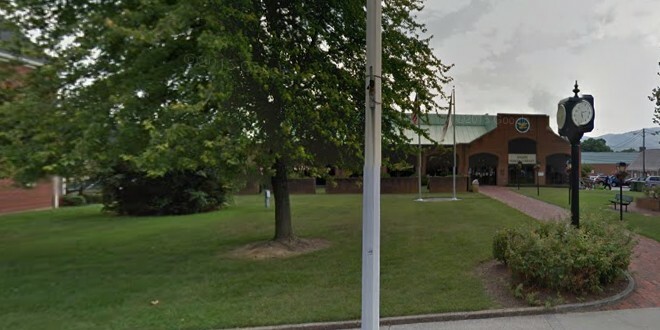 This is the lawn at the Salem Library in Salem, VA. The library building acts as an adjacent Play Library for this Loose Park. Libraries can either develop their lawns into parks on their own, or work with parks departments to do so. 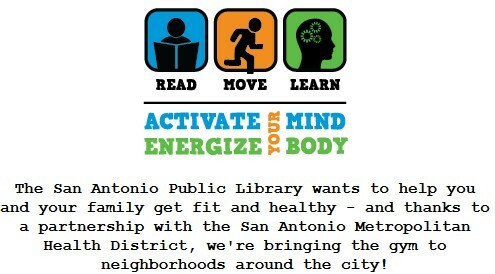 The San Antonio Parks System received a Communities Putting Prevention to Work grant, It partnered with the San Antonio Library to place fitness equipment on the lawns of 5 libraries. Doing so added 5 new "fixed equipment parks" to San Antonio without the city having to build 5 new parks. Adding recreation equipment lending to these libraries would create San Antonio's first Loose Parks. 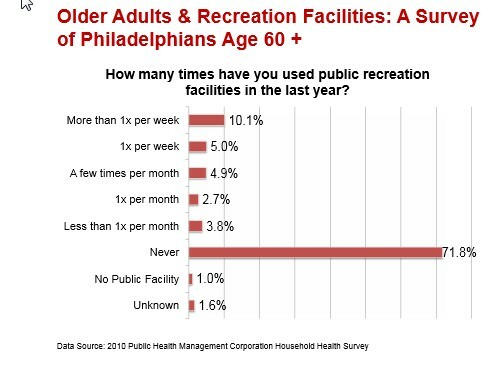 4-No room in libraries for recreation equipment? 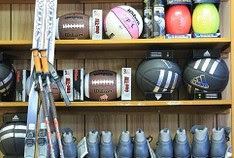 -I talked to a branch manager of a rather small Carnegie Library about lending recreation equipment. She said to me something to the effect "look at this place, we have no room". Last week I came back to her and said, "What if you didn't have to lend the items, just keys to lockers holding the items". Her reply was "This we have room for"
Here's an idea- Each locker can hold items that relate to each other, such as toys for the visually handicapped, table games, puppets, , or art supplies By using combination locks instead of keys patrons could access combination via an App. 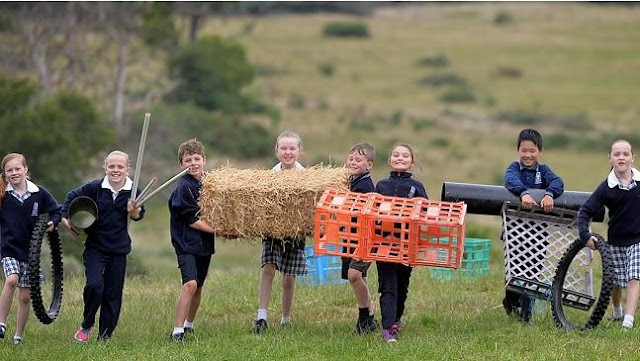 Allowing checkout and use of recreation objects to occur at the same site. The Portage District Library system has Library Express lockers (below) at 9 locations that they use for book lending. I spoke to library staff and asked if they would be any difference from checking out a book or a jump rope from the lockers . Their answer was no. 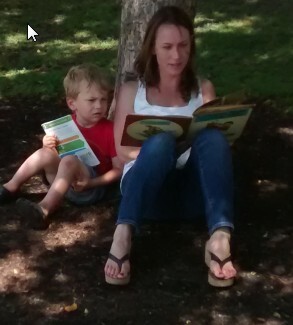 As I said before, most parks departments are not able to afford full time dedicated staff for Play Libraries . 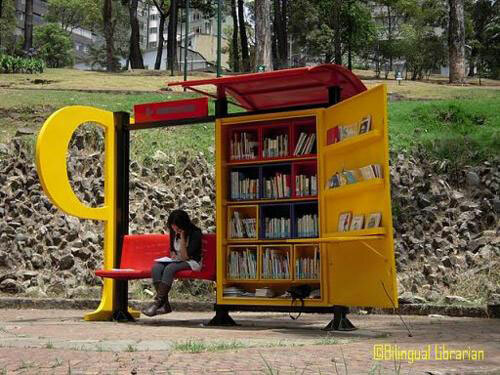 There are other ways to staff a Play Library in a park. 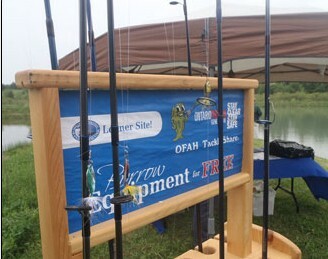 -About 50 parks in North Carolina lend fishing tackle(and at some sites adaptive fishing gear) under the states Tackler Loan Program. The N.C. Wildlife Resources Commission pays 75% of the cost of the gear. Someone at the commission got 50 parks in North Carolina to lend fishing gear. Great!. 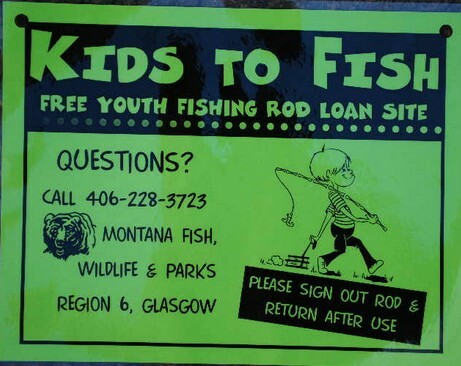 If you can loan fishing gear why can't you loan volleyballs or hula hoops? I gave a call to one of the parks who got the gear and asked if you can lend fishing gear any reason you can't lend other sports equipment. Answer was "I don't think so". 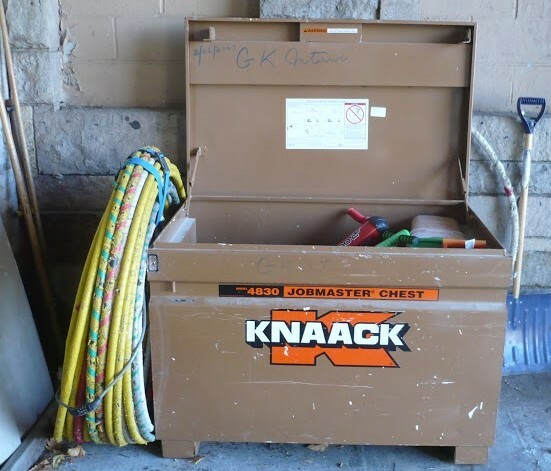 -Could maintenance staff at a park put out movable loose equipment in a park, and take it in at night? I talked to a parks maintenance supervisor who said yes. Ping Pong, pool, nok hockey and , foosball tables, exercise bikes, chairs, and pianos, are several movable objects that can be made available this way. 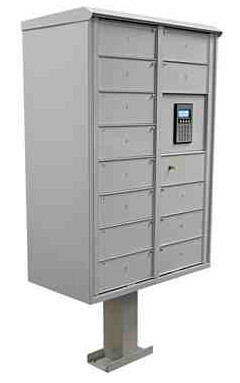 (By locking this equipment to the ground it can help make sure the equipment dose not walk if unattended). 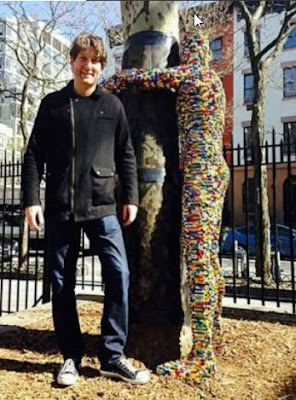 In NYC our parks department budget cannot pay for full time "animate Loose Parts"(aka recreation staff) in our neighborhood parks. But where budgets permit I would think parks can hire part time employees to man Play Libraries and lead events in parks for the most popular day or days of the week(Saturday and Sunday) . I was talking to a senior who uses a wheelchair, she asked me if I could let her know if there were any inclusive playgrounds in NYC. I asked her to define inclusive playground . She said a park that would have activities for her to participate in. I could not think of many parks in NYC that are inclusive for her. 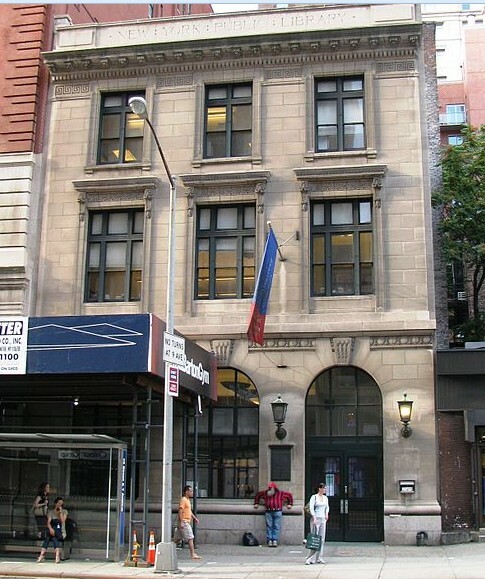 -the college in her neighborhood that offer senior scholar programs. If a "park" offers enough activities to attract you to use it, then it is an inclusive park for you, if not it isn't. Doesn't matter if 1 or 10,000 other people find activities at that park that attract them to it, if it doesn't attract you, it fails your inclusion test. Think, what features would a park need to offer for so that you would want to use it on a regular basis? The ADA guarantees accessibility to a park. It does not guarantee that you will have anything to do in the park. 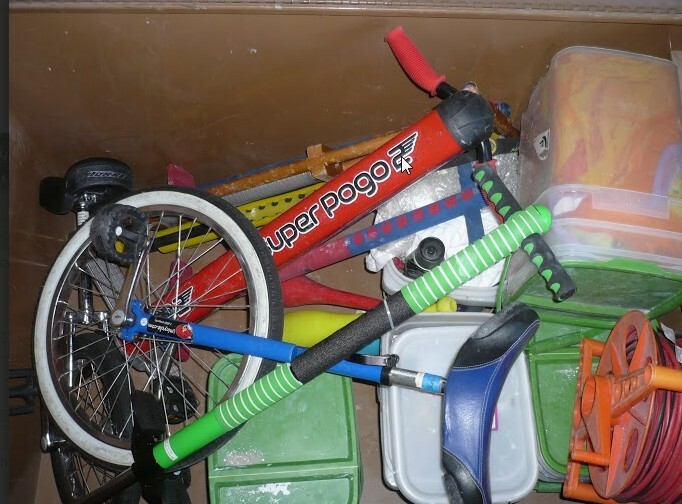 As it turns out much "special needs” recreation equipment need not be special, they just need to be available . 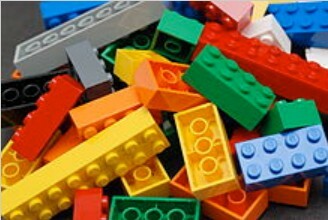 Loose Park Play Libraries are meant to make recreation equipment more available for everyone including special needs folks..
Lego is used by people with Autism, Downs Syndrome , and other special needs. 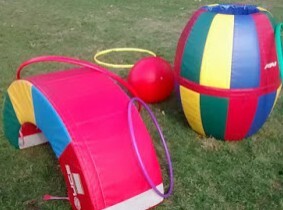 Play Libraries can allows patrons to special order from a wide variety of adaptive special needs equipment to be used in Loose parks. The Andrew Heiskell Braille and Talking Book Library.is at 40 West 20th Street. (green pin), it is very close to the planned 20th Street Park (red pin),. By either installing recreation equipment lockers in the 20th Street park and by having Heiskell lend keys to these lockers and/or having Heiskill drectly lend recreation equipment for use in the 20th Street Park, the Chelsea neighborhood will not only get a new park, they will be getting a new park that offers the use of inclusive recreation equipment, transforming this into Chelsea's first park that can serve people of all ages and abilities. 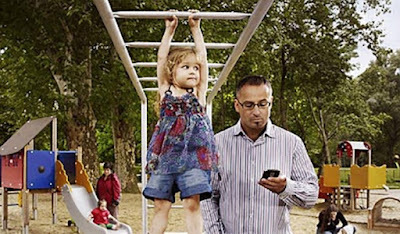 In standard playgrounds I mostly see parents "participating" by watching their kids play or if not doing this they are often looking at their phones or otherwise keeping busy. 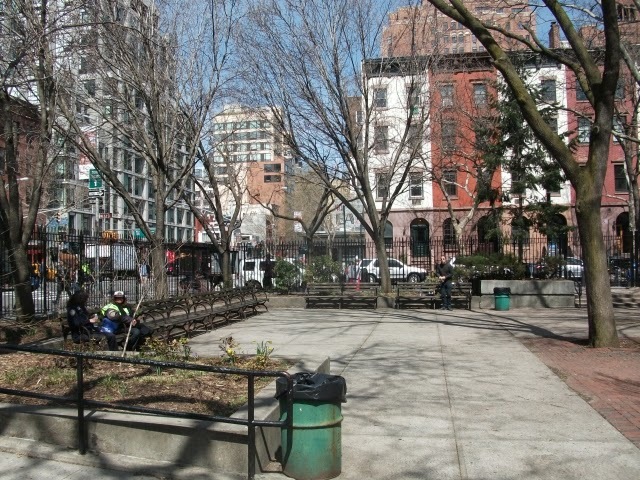 In a fixed park, often most of the area is empty space with no equipment. 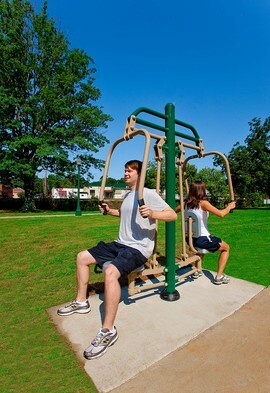 In a Loose Park you can take equipment and use it anywhere within the space and play with it. Fixed parks offer a limited number of activities that are designed by professionals , once designed and built they tend not to change. The park down the block from me, Penn Station South Playground, has benches, basketball, volleyball, jungle gym, and 4 sidewalk games. Total of 8 items. The sidewalk games were repainted in 2014, no new equipment has been added since 1998, almost 20 years ago. A Loose Park can offer score of Loose Parts. But what's really powerful is that the people who run a Loose Park can ask the community, "What items could we add to the park so that it offered enough to attract you to use it.?" 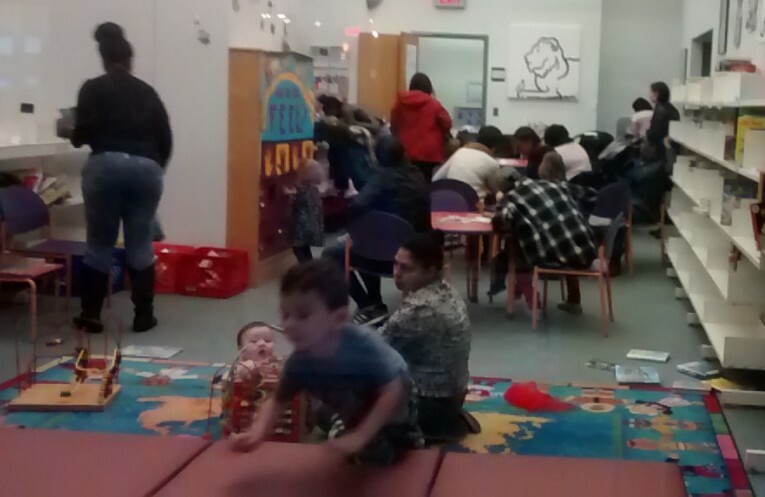 The nearest indoor Loose Park to me (aka Muhlenberg Library) has approximately 20,000 volume, millions more can be requested through interbranch loan. Unlike Fixed Parks, Loose Parks can be designed to be continually "designed" by their users and can get better and better over time. .
“Our Library checks out basketballs to be used on the courts near the library. 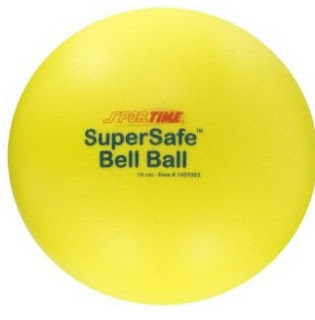 We also have frisbees, jump ropes and hacky sacks available to borrow. 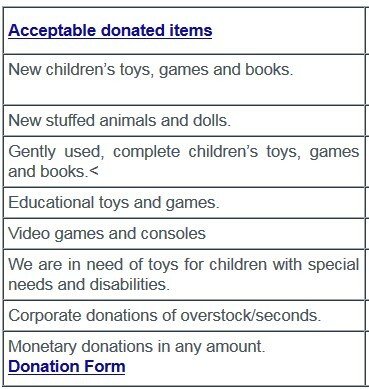 If you got $50 you can start with the items offered at the above library . A few thousand dollars will get an extensive Play Library that should cover the recreation needs of all ages and abilities. 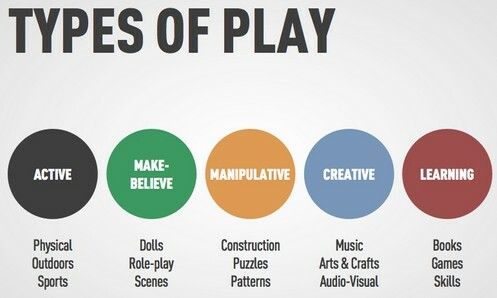 No funds for a Play Library? My council member said he could fund a Play Library for a Library adjacent to a Park through his expense budget. -Ask the community to donate funds or recreation equipment. 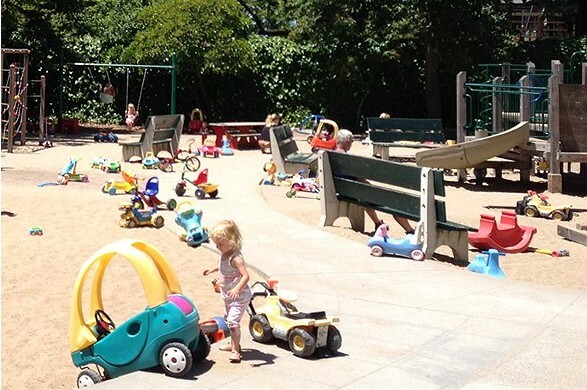 The Los Angeles Department of Public Social Services Toy Loan Program has partnered with volunteer groups to offer Toy Loan Centers in 10 Los Angeles parks. These Toy Loan Centers get their equipment through a combination of DPSS budget and . community equipment donations. -Everyone gets to use the equipment. 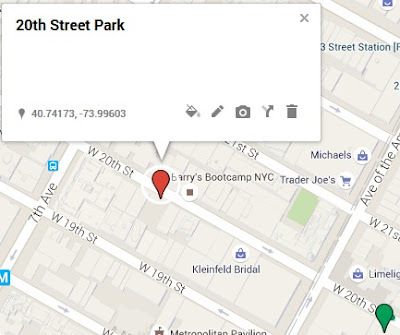 The park down the block from where I live currently offers no features that would get me to use it. I have offered to donate equipment to the parks department that would transform this into an Inclusive Park for me. 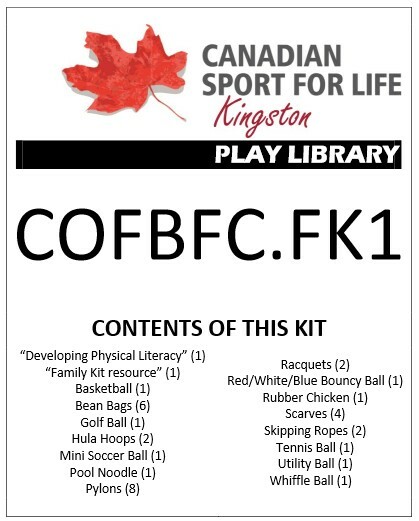 - Canadian Sports for Life Kingston , Ontario received a 2 year grant to promote physical literacy through the creation of 68 Play Libraries. that could be checked out at community organizations. -According to Anne Pascoe at the West Torrence Library,the Australian Sports Collections libraries were initially established through government funding via a 'Be Active' grant . 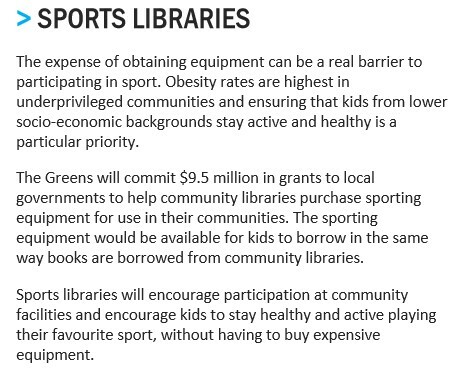 More grant money to help Australian community libraries purchase sporting equipment has become available at the national level, courtesy of the Green Party. 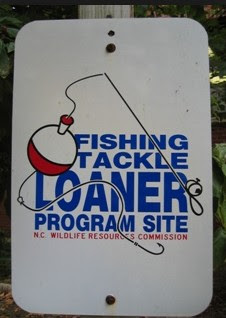 As mentioned before the North Carolina Carolina Wildlife Commission is a state agency that created the Fishing Tackler Loan Program placing fishing tackle and adapted fishing tackle in 50 parks.The Wildlife Commission pays 75% of the cost of the gear. 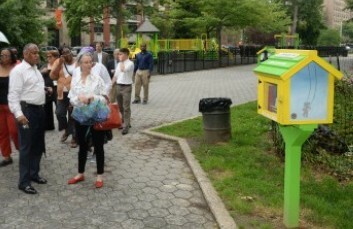 -The Parks department in NYC work with the Queens Public Library System to hold Shape Up NYC exercise classes that are held in public libraries. If they can do this, I would think that there is no reason a parks department(or for that matter City Health Department) could not work with Public Libraries to fund their play libraries. 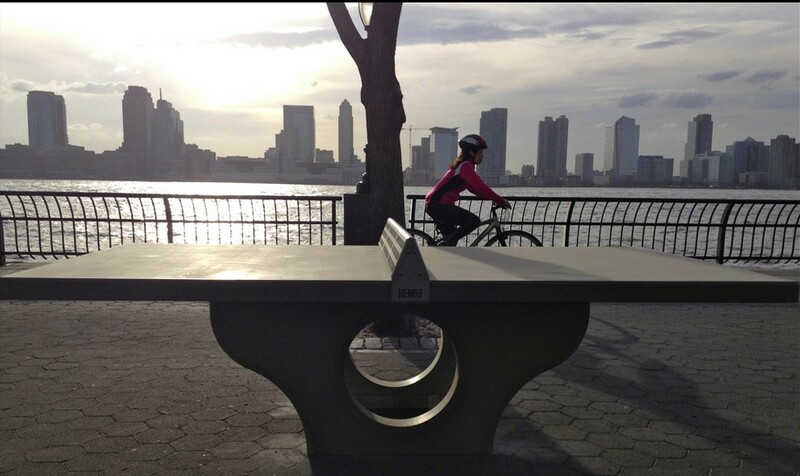 -A local park has a $5,000 concrete ping pong table. 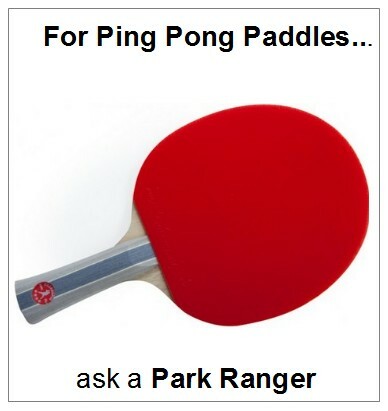 Park Rangers do lend paddles if you happen to see a Ranger in the park and ask. but no signs in the park indicate this fact. 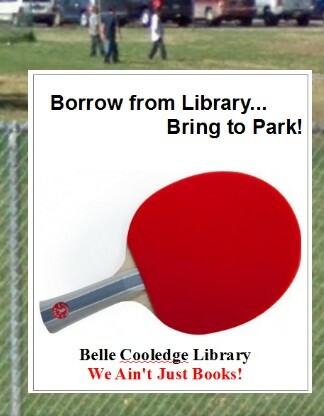 Sacramento's Belle Cooledge Library lends Ping Pong paddles for use in adjacent Belle Cooledge Park. The paddles were donated by one of their city council members. 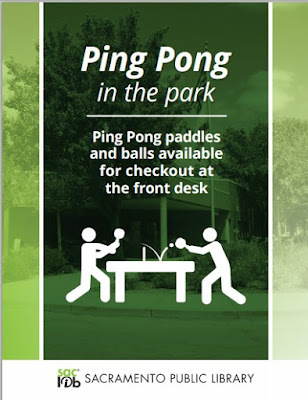 A sign in the library lets patrons know about the paddles. 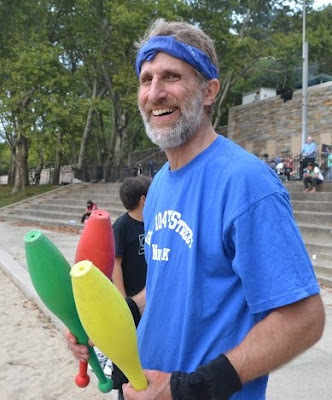 The paddles are among the libraries top circulating items. There is no signage in the park, letting people know about this service. It would be helpful to park goers if the parks department put up a sign, letting people know that paddies were available at the library. Adding a sign like the one below to the park and library , would help let community residents know that this equipment is available from the library. One really nice thing about this banner is that it both lets park goers know that sports equipment is available at the library to play with in the park, and it also advertise that books are available from the library for reading in the park. 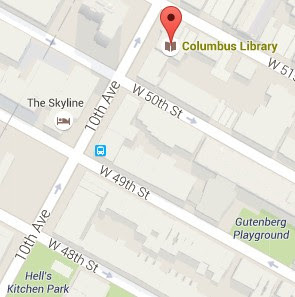 Branch libraries are Loose Parks that accept loss as part of their business model. Closed stacks would be safer then open stacks, but they would also have books used less. Offering materials for in library use only would be even safer, but once again would decrease usage. The closer libraries move to a zero tolerance for loss, the less user friendly libraries become. Not all items in a Loose Park have to be "checked out" . At Rockefeller Park, many Loose Parts are left on their lawn for use by park goers. 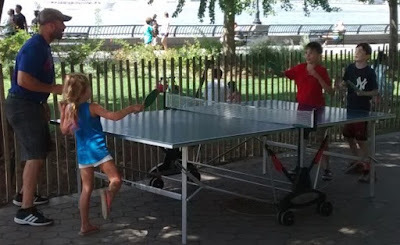 I think in NYC our parks are acting like specialty retailers... for kids they specialize in "selling" active play, for adults what they 'sell" is passive recreation bench seating .For the most part the offerings in these neighborhood park "specialty stores" are pretty slim. If a specialty retailer doesn't sell the type of goods you're interested in you have no reason to go into that store, you will take your business elsewhere-- and buy from a store that has the goods you do want. So how to attract more people to your store. Well if instead of a store that offered few items (passive seating for adults, active play for kids) , you had a store selling a wide range of merchandise I would think that would attract more people. 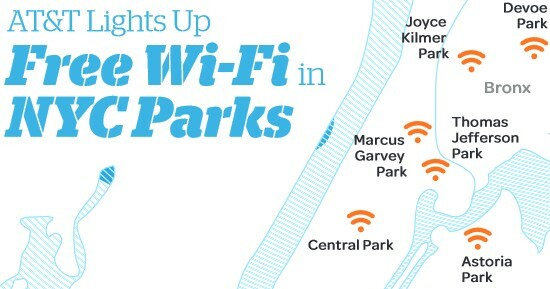 "... the research team studied the 20 parks. The "main surprise was that the majority were highly underused," says Moore. 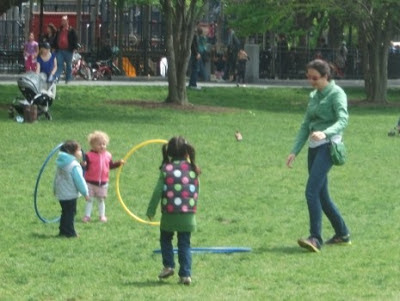 One park never saw a single user...The team found that the parks with the most activity had new or recently renovated playgrounds that offered diverse choices for play"
Movable chairs and tables are great loose parts. They afford parkgoers a far greater range of activities then parks with only benches. Here are two senior citizens who are playing a game of Scrabble at a community garden. Given a simple addition, a table and chairs this Community Garden has transformed from an area where the seating arrangement would only allow reading and awkward talking to where the seating arrangement will facilitate social interactions. A fixed mural is being considered for a local park in my neighborhood. 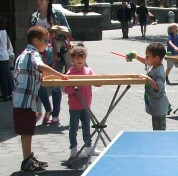 The park is underutilized by teens, adults and seniors. The mural will brighten up the park, and more people will come to the park because of it. A while back a Lego man was placed in the park, and far more people came into the park to take pictures with it. However there is a limit to the number of times people will come into the park to specifically view the same object, for most people it will probably be one time. I think there are art alternatives that will add so much more to the usage of this park for people in the neighborhood . Rather then a static painted mural in this park , how about the park gets art exhibits of limited duration . Every time the exhibit changes it gives community residents a fresh reason to visit the park. And rather then just do exhibits in isolation at one neighborhood park, how about all neighborhood parks get coordinated exhibits. What this hopefully does is gets people in the neighborhood to go to ALL the parks in the neighborhood to see this "distributed" exhibit. 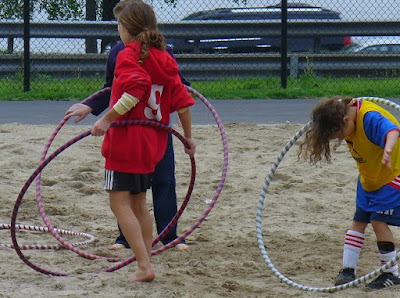 Offering programmed events in a park is a way to temporarily transform a Fixed Park into a Loose Park for the duration of the event. Yes events programming is a form of looseness , however unlike other forms of looseness, this not available on demand. 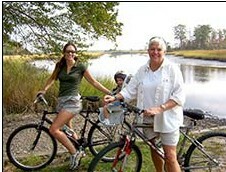 Activities like bicycling, skiing , and swimming are non ordinary realities and fun to do ways to excercise. Walking is great exercise but not in and of itself a fun thing to do. 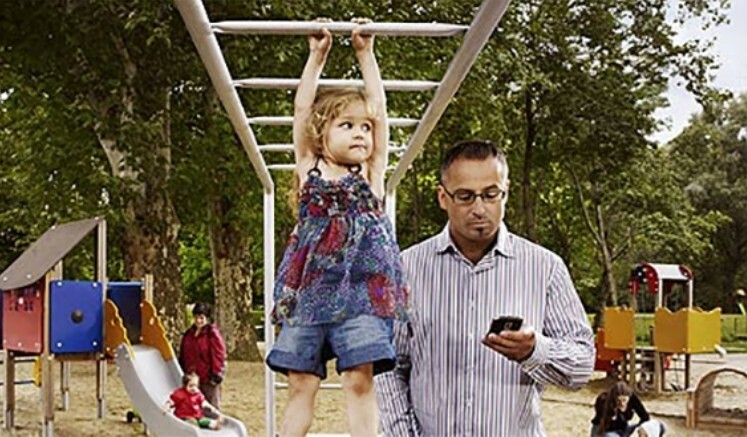 By adding fun rewards to walking you get people to walk more and that means excercise more. it's the local public library. 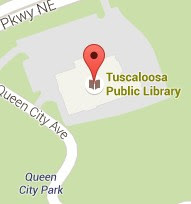 It's the latest, it's the greatest, it's the library. it’s the local public library. that they lend for free. To paraphrase Eli,Libraries are an incredible resource to allow communities to borrow and share scarce content. Print media used to be the scarce content that was the reason for libraries to exist. As the abundance of information on the Internet transforms print into a legacy media , our libraries need to find other scarce content to offer our communities. 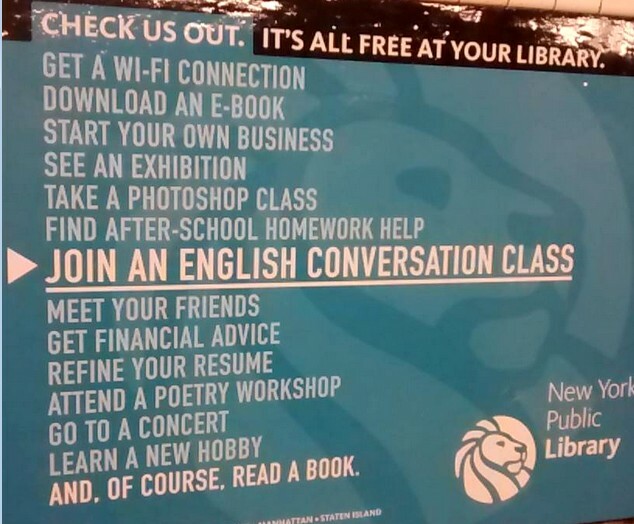 This NYPL poster shows some of the scarce content the New York Public Library is touting. 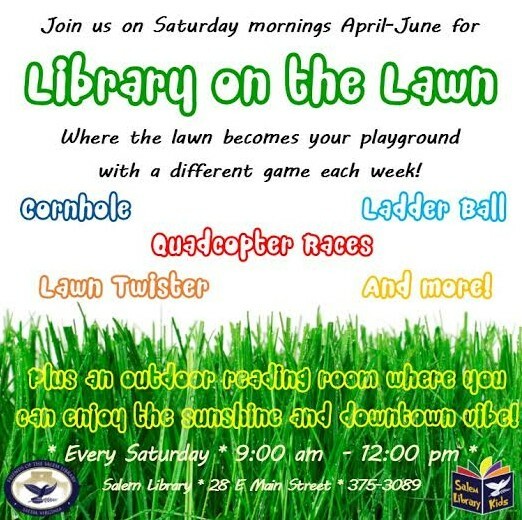 Our branch libraries are already Loose Parks, adding Physical literacy equipment will help make them into Looser Parks. Our Parks and Libraries are communities major providers of recreation content. Adding information resources to parks and recreation resources to public libraries, are low cost ways for local governments to add to the usefulness of their existing public spaces without having to incur major capital expenses. 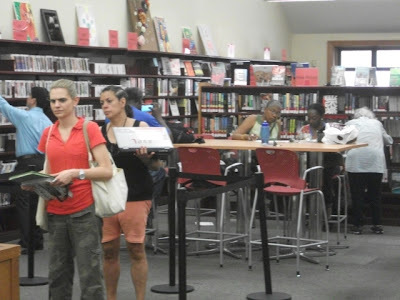 (April 2016 update)The Miami-Dade Public Library System is now working the City of Miami Parks Department on a grant to Connect Libraries and Parks. 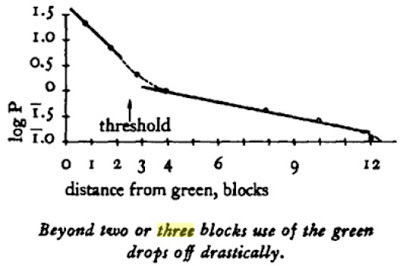 of new functions and new forms of interaction. by Lawrence Halpern and Associates. 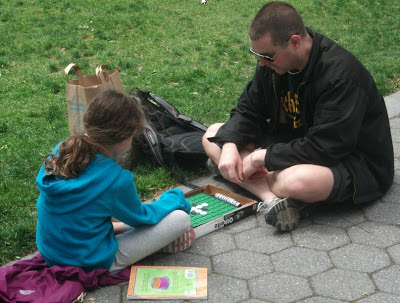 NYC's Libraries are actually Loose Parks they learn to meet the community information needs, by allowing community members to choose the books they want. 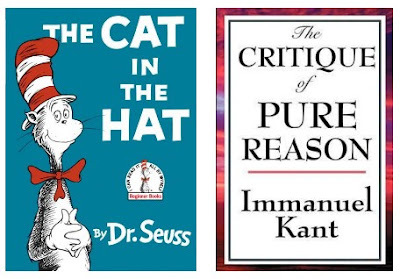 The Internet is a better Loose park, it allows it''s users to also be it's authors. The design of Loose Parks is meant over time to allow a parks users to actually create their own park that meets their recreation needs. 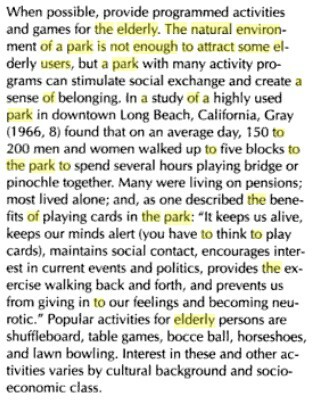 Loose Parks are intelligent systems.